The Custom Line 120 adds volume without horsepower, and with great views. 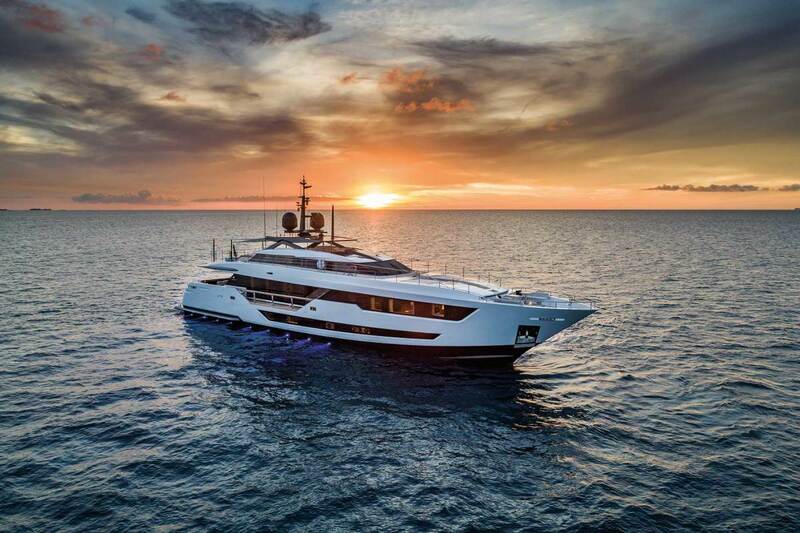 If yacht design is three-dimensional problem-solving, then the Custom Line 120 is an exercise in choosing the right problem to solve. 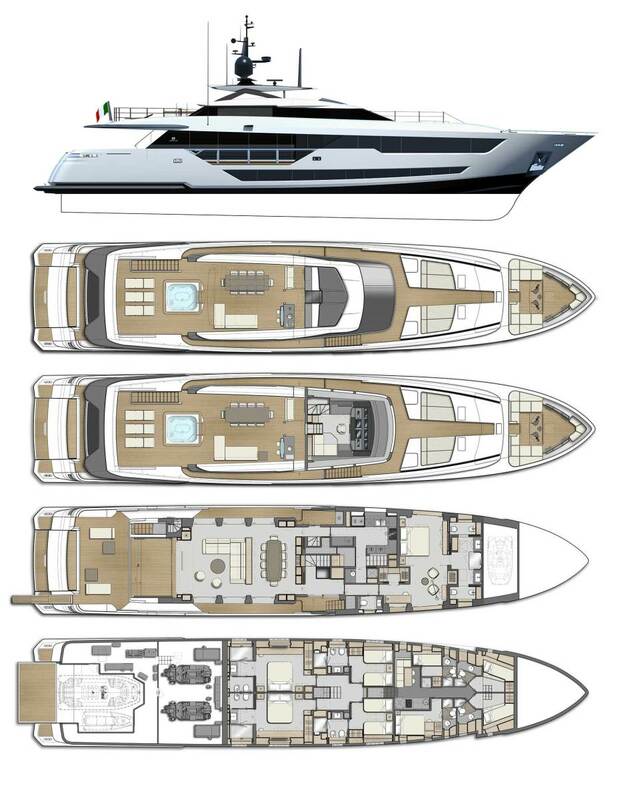 Following its 108 model, the Ancona, Italy, shipyard set out to build something bigger, but not slower. A top speed of at least 25 knots was non-negotiable. 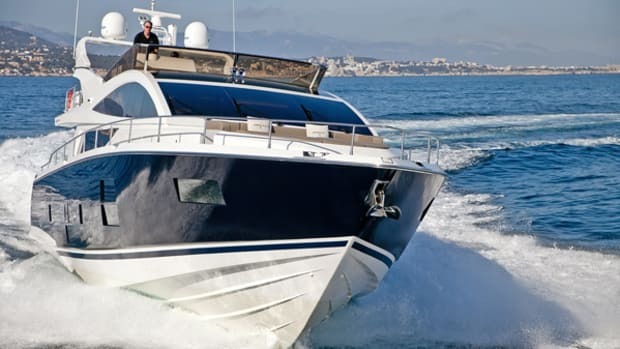 And it couldn’t be achieved by shoehorning more horsepower in: The 108’s twin 2,638-hp V-16s represent peak performance in MTU’s 2000-series engine range. The next step up in power, to the 4000s, involves a change in engine size and weight. The 120’s dramatic look by Francesco Paszkowski marks a stylistic departure for Custom Line. 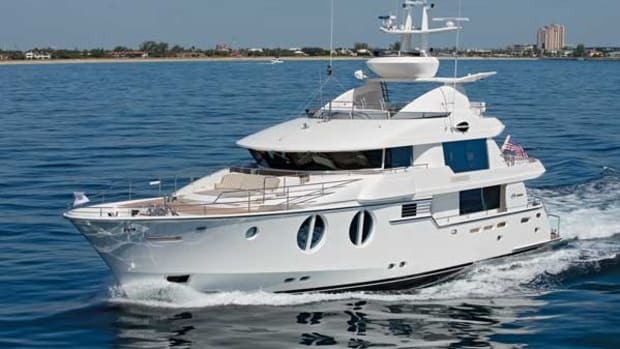 In 2011, Custom Line added those bigger 4000-series engines to its 124, bringing with them many unwelcome tons of weight and cramped hull spaces. For the 120, the builder wanted the 108’s performance without the 124’s drawbacks. The solution was efficiency in hull design. 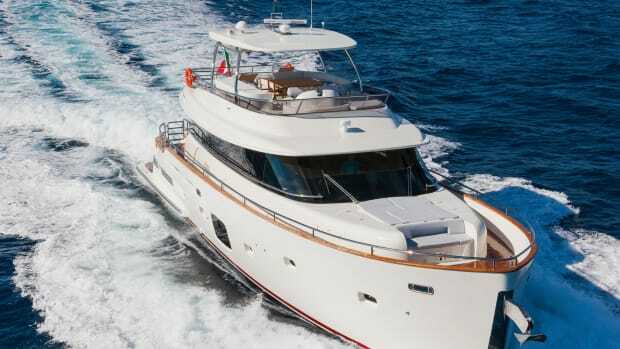 Although the 120’s hull is beamy and voluminous, it has a fine-sectioned bow below the waterline. 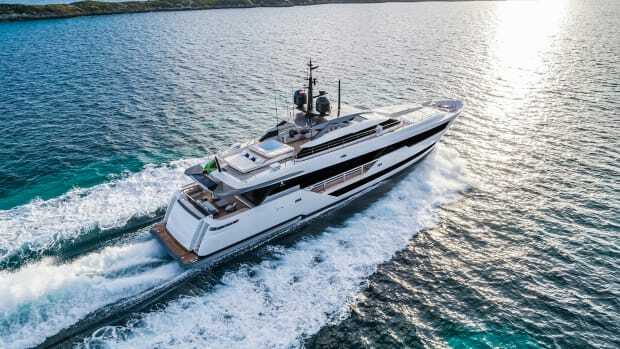 The shape functions in the same way as a wave-piercer, significantly reducing drag at all speeds, while the hull’s reduced buoyancy compared with conventional planing shapes contributes significantly to ride comfort, as the yacht slices through the chop. 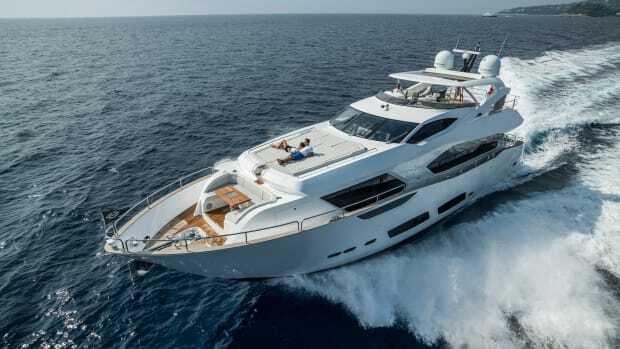 That hull efficiency let Custom Line outfit the 120 with the smaller, 2,638-horsepower MTU 16V 2000 M96L engines, yet still achieve a top speed of 25 knots in the larger yacht, with a 21-knot cruise. 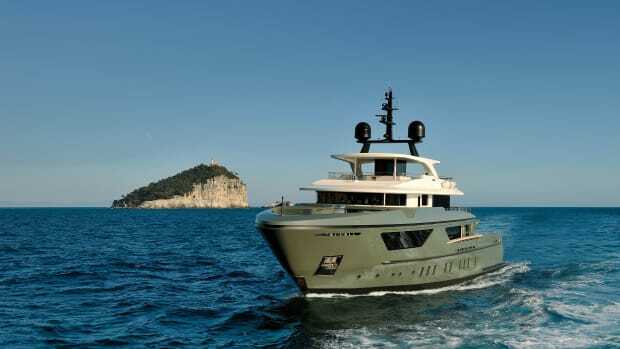 Custom Line designed the hull in partnership with Massimo Verme, and tapped Francesco Paszkowski for exterior styling. 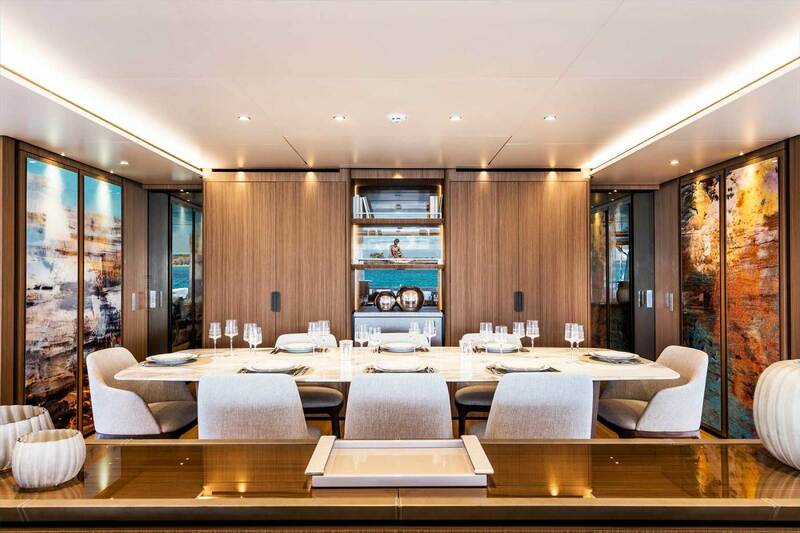 The dining table, amidships, is flanked by walnut veeners and photographic murals printed on Plexiglas. “They asked me to connect with the past—but not too much,” Paszkowski says. 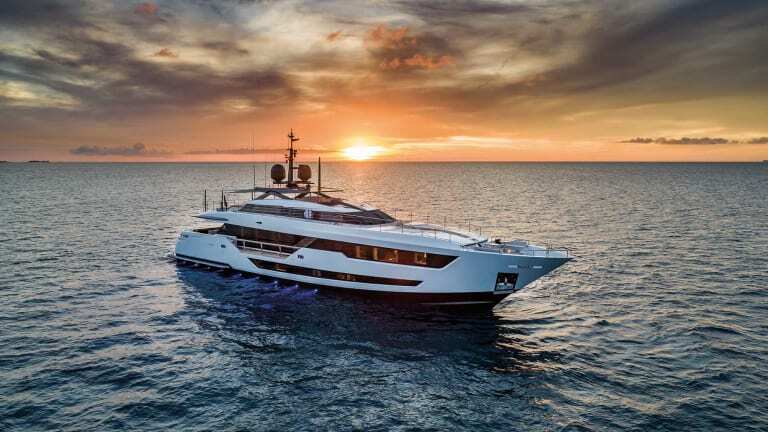 The Florence, Italy-based designer’s portfolio includes Heesen, Sanlorenzo, Benetti and Baglietto, with the Custom Line 120 being his first project for a Ferretti Group brand. With its urgent, aggressive profile, the 120 makes a clean break from the earlier Custom Line look, and its asymmetrical upper side decks are innovative. 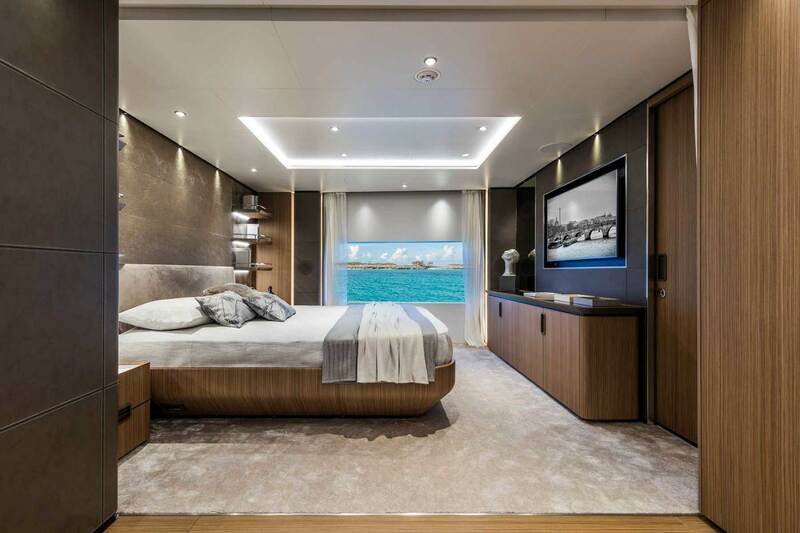 The starboard one connects to the main deck, while to port, guests can walk from the sunpads aft to the forward ones on a single level. 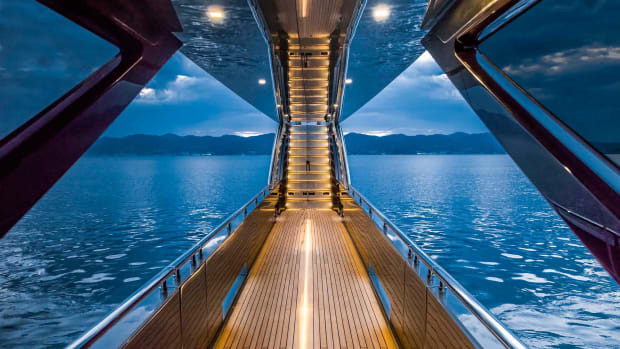 Paszkowski says the shape of his iPad played an unusual role in inspiring the yacht’s look. The 120 has curved, sole-to-deckhead windows in the salon, with a cockpit door whose shape echoes that of the iconic glass tablet. Stunning views from the main deck master suite. The engine-room air intakes are under the sole, rather than hidden in the superstructure sides, “so I realized I could make the door very wide,” Paszkowski says. The 3,500-pound door measures 13 feet, 6 inches by 11 feet, 6 inches, and inclines at a 45-degree angle when closed. The door is a sloping bulkhead of glass and steel, hinged along its upper edge. It lifts in its entirety to rest flush with the deckhead, opening the main deck like a piazza, as if a wall has been removed. Paszkowski’s design partner Margherita Casprini did the 120’s interior décor, which includes eye-catching murals made from digitally manipulated photographs printed on Plexiglas. With such a quantity of glazing surrounding the living spaces, it’s not as if she had much choice in the matter. 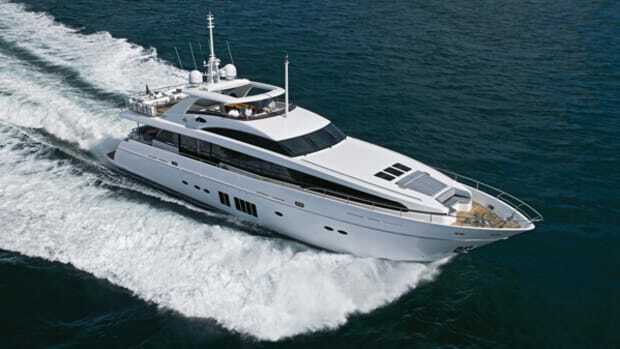 The layout is conventional, with a main-deck master stateroom, and two VIPs and two guest staterooms belowdecks. Each twin-berth stateroom has a Pullman berth, allowing for 12 guests total. 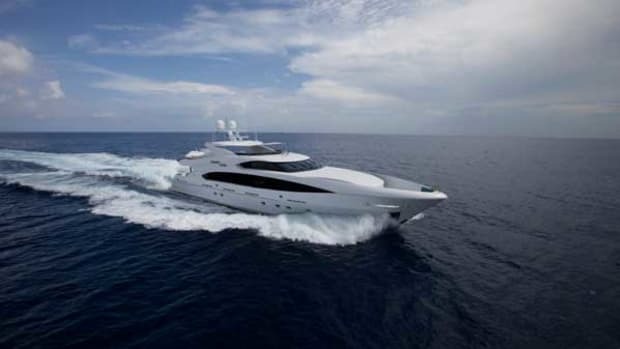 Headroom is 6 feet, 8 inches in the master, and 6 feet, 9 inches everywhere else, combining with windows and glazing to enhance the open feeling inside the yacht. During my time aboard the Custom Line 120—which is nearly 30 tons heavier than the 108—there was no discernible change in trim under acceleration, and there was minimal heel in turns. And all the while, that fine-sectioned bow sliced through the sea, imparting a quality of ride that seemed to belong to a much larger yacht.